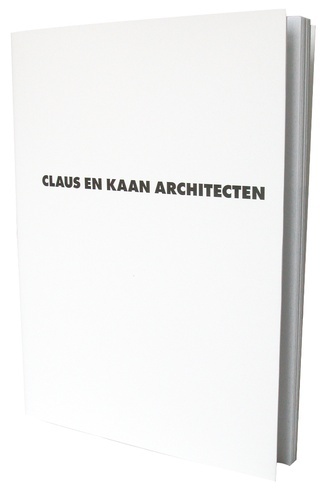 Claus en Kaan Architects commissions Visualspace to design their office documentation. For this task an expandable system with a strong typographical approach is developed. The result exists of preprinted folding sheets completed with pages of current projects. This booklet is enclosed by a cover of special museum paperboard with blind blocking and matt plastic finishing cover.